If you have a vehicle, there are certain things that you need to do routinely so as to ensure that the vehicle is in perfect condition. Checking the engine is quite essential and this allows to you to establish which parts are not working as required. With a top side creeper, you will have easier access to the topside components of the engine. This will also enhance your safety when you need to work on the engine. Generally, it appears as a ladder and has a padded deck on top, where you will rest your body on when working on the engine bay. It also comes with casters which allow you to move easily from one another. Most models will have two of the casters lock when the creeper is placed in the required position. This will enhance the stability and give you a whole lot of leverage. There so many different types of top car creepers on the market, which each model claiming to be the best. This may make it almost impossible for a customer to find the best topside creeper. Fortunately, we have come up with this guide that features several topside creeper reviews, so as to help you in making an informed decision on the particular model that will serve your needs effectively. Which is the Best Top Side Creeper? Traxion 3-100 progear topside creeper is one of the most reliable models on the market and has versatile features. 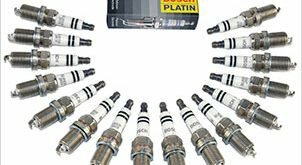 This will help you to access your engine from the topside without any challenges. Ultimately, you reduce the amount of fatigue that your body would be subjected to if you were not using the creeper. You can easily adjust the creeper to the desired height from 48” to 64”. As such this means that you can use this model to work on different types of vehicles, with varied heights. The Traxion topside creeper is ideal and quite durable, making it a worthwhile investment. It is made of heavy-gauge steel, with a finish made of fine powder coating. As such, it is protected from any cases of scratching and marring. On the top deck, it has a heavy vinyl, which enhances the comfort and durability of this creeper. 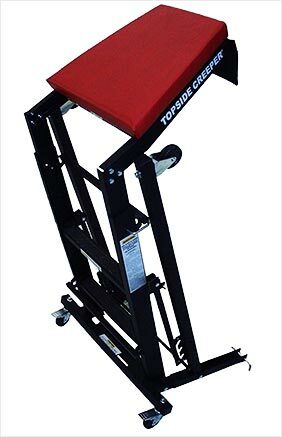 With a weight of 56 pounds, you will not have a problem moving it around, but it also quite stable, when in use. The Traxion Foldable creeper is easy to assemble and once you are done using it, you can fold it and store it. As such, it does not take up too much storage space. 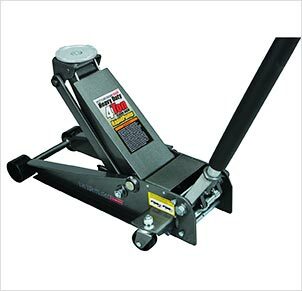 It has 4 casters which will enable you to move around when working in your auto shop. This increases the convenience since you will not have to keep coming down to move it. Two of the casters will lock you into your specific position once you have settled. This will give you the leverage that you need to work perfectly. This is designed to last for a very long time while giving you the convenience that you need. The deck is well padded and as such, you will be very comfortable when trying to reach any part of the engine as the body will rest on the deck. This is definitely the best top side creeper for the money and would be a great option to consider. 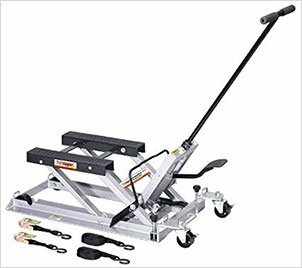 The Traxion 3 100 pro gear topside creeper has an adjustable height from 48” to 64”, which ease its use. 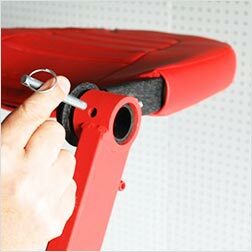 The unit has a padded deck, which will enhance your comfort when you are working on your vehicle. The 4 casters of the Traxion topside creeper make it easier to move from point to point, and two of them will lock you into position when to enhance the stability. The Traxion Foldable Topside Creeper will fold away and this makes it easier to store the unit, even in cases of limited space. 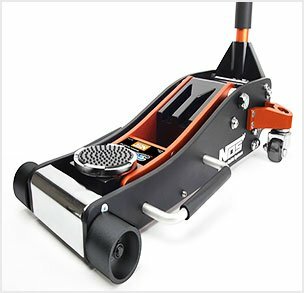 With the ergonomic design and a weight capacity of 56 pounds, it is very easy to use this creeper and move it around as you would please. One of the most amazing things with this foldable topside creeper is the fact that it comes with a frame that is completely padded. As if that is not good enough, you will have the advantage of being able to change the upholstery cover, which has been secured using Velcro. As such, it is very easy to remove the cover and clean your topside creeper. The design is quite impressive and comfortable for anyone that is using it. You will enjoy a whole lot of flexibility and movement when moving around the vehicle with this unit. When working on the front part of the vehicle, this unit allows you to reach 40% more of the components and compartments that are in the engine bay. This does not compromise on your safety and is guaranteed to ensure that you get a good angle to be able to work in your vehicle. Due to its unique design, the upholstered cover will slide easily over the sling. This is much better than the hard plywood deck and works to improve your comfort when you are working on your vehicle. This will also reduce the weight and makes the whole process of replacing the deck much easier and faster. Generally, this unit is easy to install and assemble and most of the top side creeper reviews highly recommend this particular unit. The overall construction is pretty solid and as such, you can be sure that it will last for a very long time, without a problem. There are so many benefits that are associated with this creeper, with the only issue being, failure to fold in some cases, which are very rare. It is made of heavy duty steel and has a powder coat finish, which will protect it from any marring or scratching. Just as the name suggests, the foldable topside creeper will fold easily and this will make it easier to store it when you are not using it. 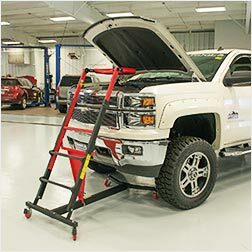 You can use it on different vehicles, with varied heights as it has an adjustable height from 48” to 64”. This is quite convenient and boasts ease of use. With the patent, ergonomic design, this mechanics creeper will reduce any cases of the leg, back and knee stress and fatigue. 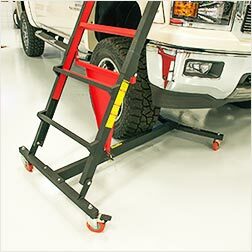 The steps are also slipped resistant, which will enhance your level of safety, as there will be any cases of slipping while mounting the creeper. 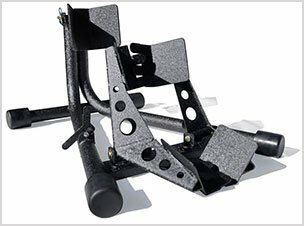 Foldable over engine creeper is quite durable as it is made of heavy gauge steel and has a powder coat finish on the frame, enhancing its longevity. Traxion 3 700 ProGear Topside Creeper comes with a frame that is fully padded, with a replaceable upholstery cover. The cover is well-secured using Velcro and as such, it is not difficult to remove it when you need to replace it or clean it. The cover will slide over the sling instead of the hard plywood deck. Ultimately, this will work like magic and improves the overall comfort when you are using this specific unit. Generally, it will be easy to replace the deck and the weight is reduced to a great extent. Unlike other models, this Traxion topside creeper will allow the user to reach over 40% more of the area that is around the engine bay. 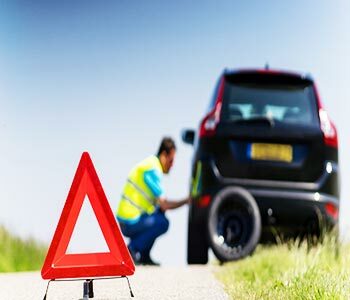 This makes it easier to pick the equipment and tools that you are using for the purposes of the repairs or maintenance that you are carrying out on your vehicle. Safety is one of the things that this unit emphasizes on. When it comes to the assembly and installation of this model, it is quite easy and straightforward. It will take you barely 12 minutes to have the creeper assembled and ready for use. This is one of the reasons why most topside creeper reviews rank it higher than other models. The increased height of 75 inches will grant you adequate space to work on, even if you have the very high trucks. In addition to this, with this unit, you will be able to reach up to 140 inches of the engine bay, without too much difficulty. This makes it the best top side creeper in its category and would be a worthwhile investment, even for professional mechanics. 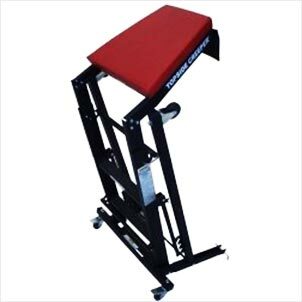 It also has an I-Base design, which is also an amazing feature with this model as it provides you more flexibility and positioning while in use. The I-base design of this Traxion pro gear creeper will allow you more flexible positioning and maneuver around the vehicle, which is a big plus for most mechanics. 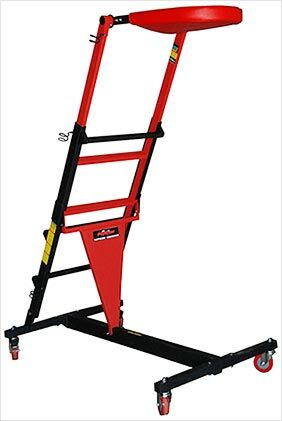 You will enjoy a whole 75″ working height when you choose this particular model. In addition, you will be able to access 140 inches of the engine compartment, without much difficulty. Besides the solid frame construction, the frame is fully padded and the upholstery cover can be removed easily. This will make it easier to clean or replace the deck, without a problem. It is very easy to assemble and install and it will not take much of your time. When you have everything in place, it will only take about 12 minutes to assemble the Traxion 3 700 Pro Gear Topside Creeper. When you are not using the creeper, it will fold easily allowing you to store it easily, even when space is limited. How to Buy a Quality Topside Creeper? In as much as we have done a number of topside creeper reviews, this may not be exhaustive for someone who is looking for the best top side creeper. There a number of things, which you should consider when shopping for a top quality creeper. We have compiled some of the critical factors and we believe this should serve as an effective guide. Here are the considerations that will help you make an informed decision when it comes to buying creepers. You cannot ignore the height issue when it comes to topside creepers. All of the models on the market will inform the buyer about the height adjustment. You should look at the height range so as to establish if the particular model is ideal for your type of work. When you have more height to work with, it is easier to carry out your tasks easily, without straining. A good creeper should have a height range that starts from 48” and going above. The objective of using a topside creeper is to ensure that you have the highest level of comfort when working on your vehicle. You should look at all the features, and pay attention to the design and the deck of your creeper. You should give preference to the models that have an ergonomic design and a deck that will support your body when you rest on the creeper. This will give you the much-needed flexibility to reach any part of the engine bay. While it is true that most items will wear out at some point in time, when shopping for your mechanics creeper, you need to ensure that you have conducted all the due diligence so as to get the best topside creeper. Some of the best materials to look out for are units that have a frame that is made of high gauge steel and durable powder coat. You want a model that will serve you for the longest time possible, without compromising on your safety, while in use. It would be too tedious is you have mounted and come down the creeper every time that you need to move around. You need to look at the casters that your over engine creeper has. The best models have 4 casters that will make it easier to move around the auto shop. 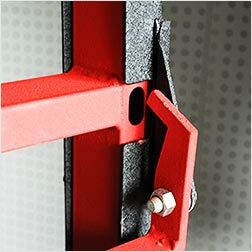 To enhance your safety, it is important to find a unit that will have at least 2 of the casters lock, when you settle in a particular position. What defines the best topside creeper, if not the features? You should look at the features that any model has and compare with the other options on the market. This would be a great way to tell if you are getting value for your money. Some of the things to pay attention to include flexibility, weight, if it can be folded, the type of deck and the upholstery used among others. Read the various types of mechanics creeper reviews to learn about the various features that will add value to its use. With these basic considerations, you should be able to make an informed decision and buy a high quality creeper, which will serve your needs in the best way possible. How to Safely Use a Top Creeper? Do inspect the creeper every time before and after use. Check if there is any form of damage to the parts of your creeper. If you detect any damage, you should shun using it right away. Check that all the nuts and bolts are in place and none of them is missing before mounting on your creeper. 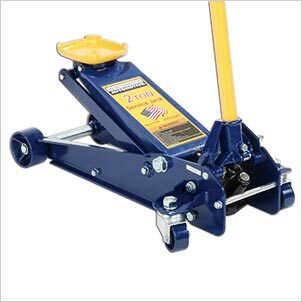 Ensure that all the casters are working as required and the ones that are supposed to lock in place are functional. Test the angle adjustment bar to ensure that it is secure in one of the positions, before using it. When climbing up or down the creeper, ensure that you are facing it and using both hands on the rails to enhance your safety. Do not use a topside creeper if you experience frequent fainting spells. Do not use the unit if you are on medication that can make you drowsy and impair your judgment. Never climb up the creeper if you are under the influence of alcohol or drugs. Do not attempt to use the creeper if you have any physical disabilities as it may aggravate the situation. Do not overload the creeper beyond the maximum weight rating that it can handle. Do not use the creeper when the car engine is still running, as it poses a great danger. Please pay keen attention to the safety precautions highlighted above. This is the only way that you can be sure of your safety and is using the topside creeper in a safe manner. From the top side creeper reviews that we did earlier, our recommendation would be the Traxion 3 100 progear topside creeper. We have considered the budget and the features that this unit has an established it would be the ideal one. Getting a topside creeper should be much easier, using this guide. If you found this to be useful, please feel free to leave a comment and also share it around with your friends and loved one. This will not only help them in purchasing the creeper but also in the proper usage.